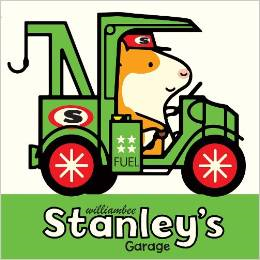 Stanley is an adorable golden hamster who has his own garage. The front pages are filled with colorful tools. They will be easily identifiable to children who have seen these things hanging on the wall in their own garages. The art is completed in bold blank outlines and filled in with bright beautiful colors. Kindergarten readers and first grade readers will follow this story of fun characters while also practicing color words. There are also several great examples of cause and effect for children to think about. One car has a flat tire, another is smoking from an over-heated radiator, and one won’t work at all. Literacy skills of sequencing, picture clues, possessives and cause and effect are easily strengthened throughout this book. The progression of time from morning to night is easy to follow and Stanley predictably gets ready for supper, a bath and bed after his busy day at the garage. Readers will relate to the comfortable ending of the day. This is only one of the books about this delightful hamster. Stanley is a golden hamster. He is drawn with large, bold black lines and colored with a smile on his face. He is asked to build a house for his friend. While it is unrealistic for the house to be built in a day, young readers will believe it. The front pages are filled with brightly colored tools used by builders and painters. Children will love spending time with these two pages to identify each piece and figure out what it is used for in the building process. 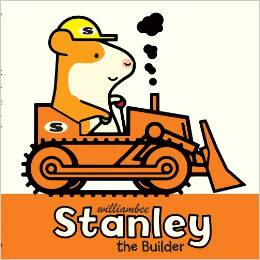 Stanley has a bulldozer, digger and crane of his own. His friend Charlie comes with a cement mixer to help. They lay the bricks together even though, “it is very tricky work.” The book is filled with simple humor, good work and real friendship. Kindergarten readers and first grade readers will see the correlation between color words and the objects in the pictures. Other literacy skills that can be practiced are sequencing, parts to whole, and picture clues. At the end of his busy day, Stanley is ready for supper, a bath, and bedtime. It makes for a satisfying read and a fulfilling ending for any reader. 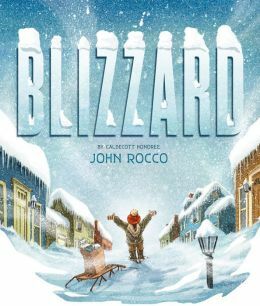 Caldecott honoree John Rocco does detailed and realistic illustrations for this new and fun book about a real event in the author’s life. Given the rough and long winter of 2013-2014, it’s a timely reminder that sometimes Mother Nature has ideas of her own. February 1978 saw forty inches of snow in New England in two days, a record event for the area. Rocco and his family “survived.” As a frequent survivor of Iowa winters, I can tell you he hits the nail on the head with the emotions and with the magnitude of the conditions. At first, it’s fun trying to wade through huge drifts. You can make snow caves in some areas. But the sled won’t go through the worst parts, and the family runs out of milk and other supplies. The snowplows appear five days after the snow stopped, but not before John straps tennis racquets to his ten-year-old feet and walks to the grocery store for supplies. He brings a whimsical touch in many illustrations. John staring out the window at the falling snow with a penguin lampshade, a poster of snowy Mount Everest, and an Arctic Survival guide at his side speaks volumes. And the numerous side trips on the way to the store are typical ten-year-old antics. First grades will love the theme and the idea of a whole week of snow days. They can handle much of the text on their own. Literacy skills and comprehension will be enhanced. Gentle reminders from adults may be in order, though. Tennis racquets only make good snowshoes in an emergency. And don’t take off for the store in a blizzard without an adult’s permission. For teachers, this book makes a good jumping off place for learning about winter around the world and extreme weather of all kinds. The author’s website, www.roccoart.com, brings the reader to Rocco’s world, including his Caldecott Honor title, Blackout, and numerous Rick Riordan books. 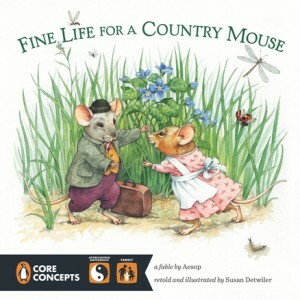 The publisher’s website, www.disneybooks.com, has wonderful teacher guides.